Last weekend on my way home, I stopped into one of my favorite wine shops, The Greene Grape. Trader Joe’s two-buck Chuck is good but every now and then you want something with a bit more bite. After purchasing a Cabernet Sauvignon by Exlibris I was ready to leave when I decided to stop and check out a tasting they were having. What ensued thereafter was pure impulse. I wasn’t immediately clear what was being offered but got the sense from others it was tasty. I decided to participate and the first thing that struck me was the spirits fragrance. Straight up spirits can be harsh, which is why I don’t drink many in this form. This one, however, smells sweet and was a welcomed difference for me. I must have smelled it for a good 3-5 minutes before I decided to taste it. It was very smooth with a nice after taste. Believe it or not, to this point, I wasn’t aware it was a gin. After a few questions, I realized I was drinking Breuckelen Gin by Breuckelen Distilling Co. and its made in Brooklyn. Needless to say, once I found that out, I was sold. I always talk about how for me; fragrance adds another dimension to my life and my purchase of Breuckelen Gin is proof of this belief. I’m not a gin aficionado; I drink it occasionally. But its fragrant appeal added to its experience and I’m glad I can appreciate that. Distilled entirely in Brooklyn, its botanicals include Juniper, ginger, rosemary, grapefruit and lemon peel. For a more in-depth look, check out Harry Sheff’s post on Cocktails & Cologne. This entry was posted in News and tagged Breuckelen Gin, fragrant spirits, Greene Grape. Bookmark the permalink. It really is a flavorful and fragrant gin. 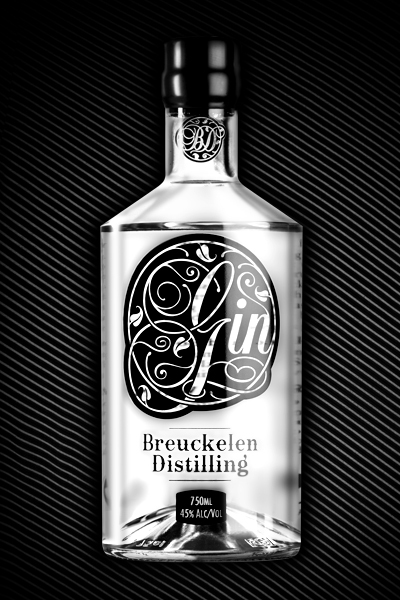 There are a lot of gins on the market that you just wouldn’t want to drink straight, but Breuckelen is delicious. It’s so nice straight that I’ve had trouble coming up with good mixers for it. With flavors that strong and forward, you don’t want to mess things up by overdoing the tonic or adding conflicting ingredients. I’m still working on how to use this to make something really tasty. But for now I’m happy just pouring a small glass and sipping it unadulterated, slowly. Sounds tasty. I never really drink gin but usually choose Sapphire when I do because I just love that blue bottle. Next time I’ll use more of my olfactory senses than visual!